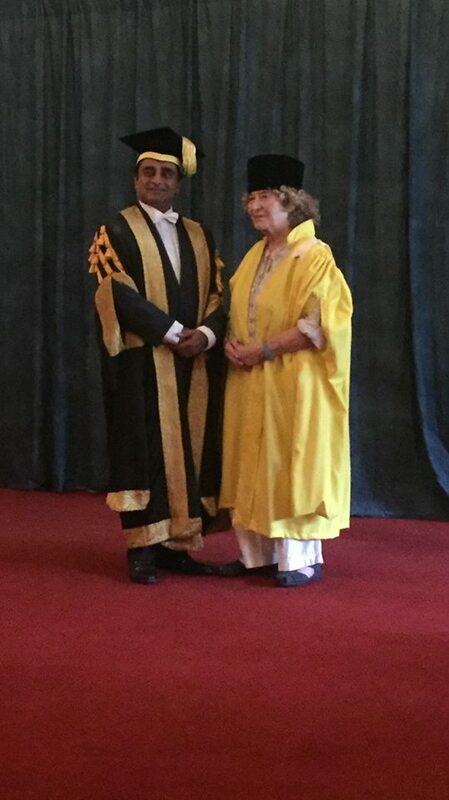 Shirley Collins with Sanjeev Bhaskar, Chancellor of the University of Sussex. Photo by Polly Marshall. In July of this year I had the honour and pleasure of participating in the University of Sussex graduation ceremony at which the great English folk singer Shirley Collins was awarded an honorary doctorate. In the days leading up to the ceremony, as I prepared the speech I had been asked to give ahead of the award, I spent a long time listening to Shirley Collins’s music, often while driving around the beautiful South Downs. I found myself thinking a lot about the relationship between song and place and also about we forge, maintain and sometimes lose connections with the places in which we live and work and through which we travel. I was feeling this keenly at the time as I was preparing to move to the other end of the country to begin a new job. In the days surrounding the graduation ceremony I posted a series of reflections on Facebook. I’m compiling them here in celebration of the release, today, of Shirley Collins’s first new album in 38 years. 17 July. Shirley Collins & Davy Draham, ‘Nottamun Town’. This week the University of Sussex will award an honorary doctorate to the wonderful, influential English folk singer, folklorist and writer Shirley Collins. In celebration of this happy event, I plan to post some favourite Collins tracks throughout the week. I want to start with this interpretation of ‘Nottamun Town’, from Shirley’s boundary-pushing 1964 album with Davy Graham, Folk Roots, New Routes. Graham was the globetrotting, finger-picking composer of 60s guitar standard ‘Anji’. Collins was the Hastings-born, London-based folk singer with the clear, unaffected style that had drawn praise from the likes of Ewan MacColl and Alan Lomax, with whom she’d toured the American south in the late 1950s, collecting songs from Bessie Jones, Mississippi Fred McDowell and many more. ‘Nottamun Town’ (Roud #1044) was an old hard-times song – possibly referring to Nottingham – that would be revived by Bert Jansch and Fairport Convention and used as the basis for Bob Dylan’s ‘Masters of War’. This version perfectly showcases Davy’s alternately ringing and pinched, swinging, blues-inflected style alongside Shirley’s crystal clear enunciation of the doomy lyric. On one level, a cold blankness that lets you know that this is a straightforward story, truthfully told; on another, an eerie beauty and a rhythmic pull that draws the listener in to the well of old weird Anglicana. 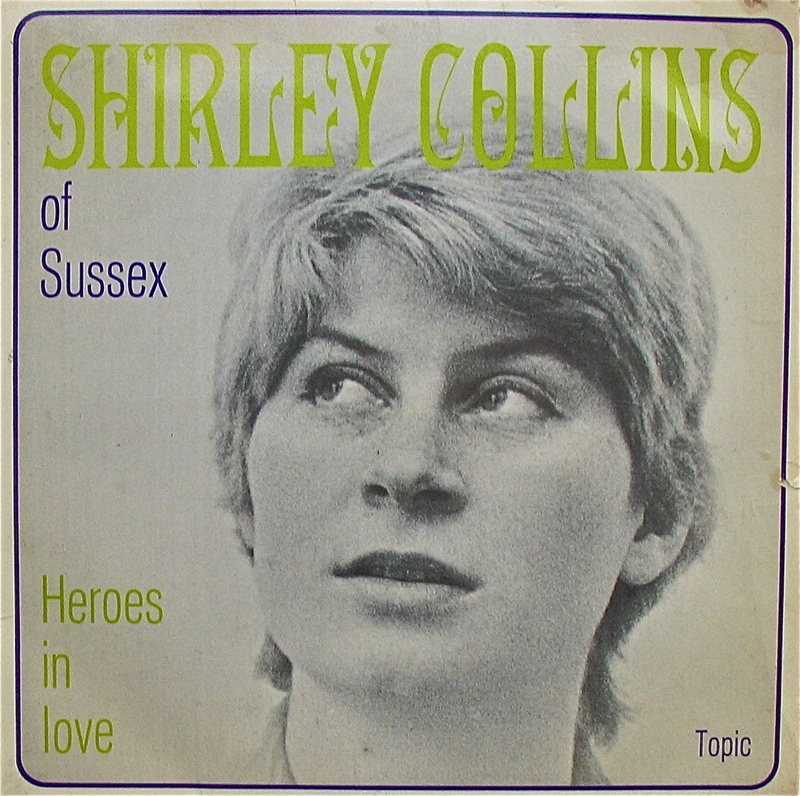 This comes from Shirley’s first record for the legendary Topic Records, an EP from 1963 entitled ‘Heroes in Love’. A note on the rear sleeve informs the listener, ‘These songs are not about folk-heroes in any epic sense; just ordinary young men transformed by love’. That phrase ‘transformed by love’ seems to me to encapsulate so many of the magical, tragic, sometimes farcical mutations that are related in the multilayered folk tradition. Shirley accompanies herself here on 5-string banjo, another simple and subtle device that echoes the techniques used by many of the American folksingers she and Alan Lomax had recorded in the late 1950s. This version of the song is also inspired by a Lomax-related recording of the great Sussex singer and custodian Bob Copper, included in the LP series The Folk Songs of Britain. 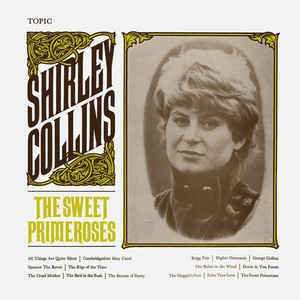 One of the song’s verses would also provide the title for No Roses, the classic 1971 folk-rock album Shirley recorded with the Albion Country Band: ‘I went down to the forest to gather fine flowers / But the forest won’t yield me no roses’. As well as the stark simplicity of this recording, I love the record sleeve of the EP, with Shirley looking up and to the side at the words ‘of Sussex’. 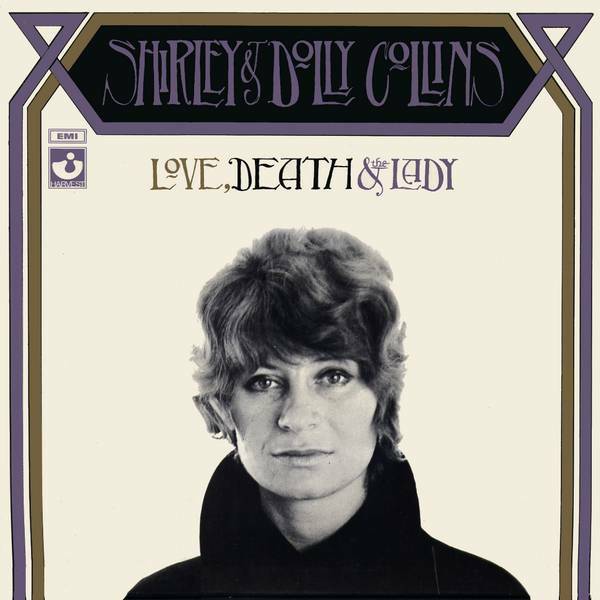 This recording of ‘Geordie’ (Roud #90) comes from Love, Death & The Lady (1970), the second album that Shirley recorded with her sister Dolly for the Harvest label (the first being the classic Anthems in Eden). It’s a melancholy record, as most attest, with many tales of doomed romance and class conflict. ‘Geordie’ is a great example of the latter, the tale of a man condemned to hang for wanting to feed his family. As related on the Mainly Norfolk website, this was the third time Shirley had recorded the song. This rendition is notable for the addition of Early Music instrumentation, present throughout the album and its predecessor. The cool, unruffled vocal cuts its straight course through the sad story while the various instruments weave in and out of the arrangement, occasionally threatening to sail off in rebellious counter directions, but ultimately staying true to the thrust of the song. There have been many great renditions of ‘Geordie’ (or ‘Georgie’, as it also appears) captured on record and video. This is one of them. Yesterday, during the University of Sussex graduation ceremony at which she was awarded an honorary degree, Shirley Collins spoke movingly of a life spent in song: as listener, folklorist, custodian, singer. From humble beginnings in Hastings as a daughter of working class, left-wing art lovers and granddaughter of keepers of the oral tradition, to travels in the American South in search of musicians and songs, to her career as singer and writer, the life story unfolded like a compelling ballad. But, modest and mindful of the other graduands receiving their awards, she closed with notes of congratulations and a message of hope for her young listeners. Connecting her life story to theirs, she said ‘I hope you find a passion that sustains you and brings happiness and fulfilment in a more peaceful world. And if things go awry from time to time, just remember these lines from a Sussex folk song: “There’s many a dark and cloudy morning turns out to be a most sunshiny day”‘. Those lines come from ‘The Sweet Primeroses’, a song associated with the Copper family of Sussex. It became the title of Shirley’s 1967 album, a work described by David Suff as ‘a landmark recording of the English folk-song revival’. It’s a gorgeous rendition, given extra poignancy by the accompaniment of Dolly Collins on portative pipe-organ. In her speech, Shirley stated her wish to share the honorary degree with her late sister. On a personal note, it was an absolute joy to meet Shirley and her family and guests and to spend a good part of the day in their wonderful, welcoming company. And I’m proud of my university for honouring such a deserving person. This week I’ve been posting music clips by Shirley Collins in celebration of her honorary doctorate from my university. 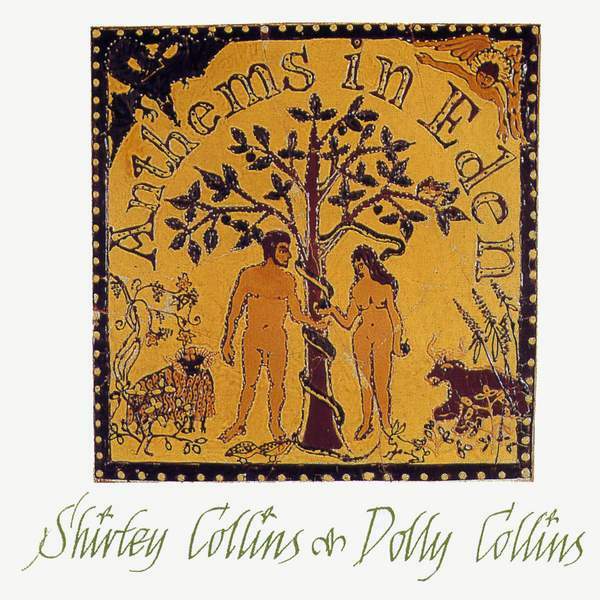 I’m concluding this series with a track from Anthems in Eden, the classic 1969 album by Shirley and her sister Dolly, accompanied by the Early Music Consort directed by David Munrow. The early music instrumentation – including rebec, crumhorn, harpsichord, viols, bells, rackett – was an innovation that proved influential on other experimental folk musicians of the period, including Fairport Convention and Steeleye Span, albeit that they opted to use rock instruments. This track, which bears the double title of ‘A Leavetaking’ (‘Leaving-taking’ on some copies of the album) and ‘Pleasant and Delightful’, is typical of the musical melange of Anthems in Eden. It includes several repeated lines featuring a male chorus, such as ‘And the larks they sang melodious’ (my personal favourite). It’s a song of leaving and possible return, a departure taken on an otherwise glorious day. Recently I’ve been listening to Shirley Collins’s music while driving around the Sussex countryside and I’ve been made aware of the constant connections between singer, song and place. Wonderful coincidences would happen, such as the day I drove past the Eight Bells pub in Jevington while playing Anthems in Eden, then, on arriving at my office and opening a Copper Family CD booklet to check some Collins-Copper connections, I saw a picture of Jim and Bob Copper singing outside the Eight Bells in 1950. I’ve been thinking about this as I prepare my own leave-taking from Sussex. In September I’ll be taking up a new post at Newcastle University. I’m excited by the possibilities of reconnecting with former colleagues and friends, but I’ll also be sad to leave Sussex, my home for the past four years. The University of Sussex is a superb place to work, with wonderful, supportive colleagues, and the county of Sussex is beautiful. This week the university celebrated a wonderful daughter of the county, and I’m happy that I was able to be part of that story. It has been pleasant and delightful. This entry was tagged folk music, music, nature, place, seasons, Shirley Collins, song. Bookmark the permalink.